Closed all day : Bar Snacks available. 12:00 Noon - 3:30 pm only. Please Note: Last order for food, 30 minutes before kitchen closes. What's On page updated more. Kitchen CLOSED all day : Bar snacks available. 5:00 pm to 8:00 pm - Separate Evening Menu available. Please Note: Last orders for food, 30 minutes before kitchen closes. Please click here to view our new lunchtime menu. The 'newly-refurbished' Black Country Arms based in High Street, Walsall is one of the town's most ancient hostelries dating back to as early as 1627. Formerly The Green Dragon, this Grade II listed pub is now part of the ever-expanding Black Country Ales chain, and Walsall's foremost real ale pub with no fewer than 20 hand-pulls featuring ever-changing cask ales and ciders from across the UK. In addition to the extensive array of real ales and ciders on offer, The Black Country Arms also boasts an extensive range of continental bottled beers and fruit wines, otherwise hard to come by in Walsall. Delicious hot and cold food is also available daily with a fantastic range of high quality dishes to suit all tastes and at affordable prices. Please view our menu for details. Whilst few can fail to be impressed by the large imposing building that houses The Black Country Arms, with its high ceilings and grand, striking decor, the pub offers a warm and friendly welcome and a relaxing atmosphere that belies its size and town centre location. Quite simply, it's a 'local in the town'. 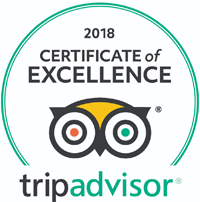 So whatever brings you to Walsall, why not call in, chill out and soak in some of Walsall's finest history whilst enjoying the very best in real ales and fine food? 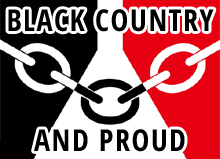 The Black Country Arms is situated in High Street, Walsall adjacent to the 24hr Asda and just 5 minutes walk from Walsall Railway Station and both St.Pauls and Bradford Place bus stations.